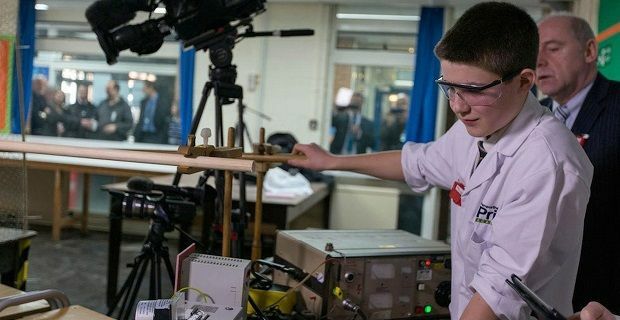 Jamie Edwards, a British schoolboy, has become the youngest person to ever build a nuclear fusion reactor. The 13 year old built the reactor from scratch. He spent five months constructing the reactor in a science lab at his school. He’s tested his creation by smashing two atoms together to create helium, which is a nuclear fusion. "It is quite an achievement. It's magnificent really. I can't quite believe it – even though all my friends think I am mad,” he said. The teenager admitted that he’s always had a flair for science. He even went as far as to help his older brother Danny with his science homework. "One day, I was looking on the Internet for radiation or other aspects of nuclear energy and I came across Taylor Wilson and his reactor,” he said referring to Taylor Wilson, the nuclear scientist who was 14 when he achieved the feat back in 2008. "I looked at it, thought 'that looks cool' and decided to have a go. Basically I made a star in a jar. It's amazing really, quite a feat, to be from Penwortham and be the youngest person in the world to do this." "I needed £2,000 and he said he would fund it and also put £1,000 into a contingency fund so that myself and others could continue my work as I would like to make it energy efficient." Thankfully the school survived and Jamie took the record. His achievement was taped. It will be reviewed by experts so he can be officially recognised by the Fusioneers.